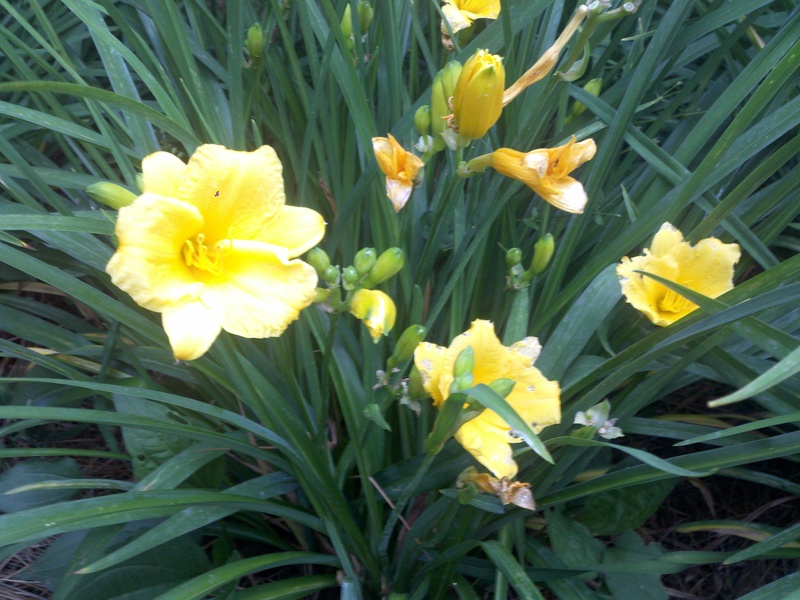 The simple daylily is a wonderful plant to add to almost any landscape. There are hundreds of varieties and colors available. their flowers add excitement to any garden. These perennials are extremely hardy in the Atlanta area; they will take heat, drought, or cold. They require little or no maintenance. Most daylilies like sun and will tolerate a little shade. Too much shade, however, and they will eventually die out. I like to use them on slopes as well, to stabilize the soil. They have a vigorous root system and grow fast. Some like the Stella D’oro, are repeat flowering. Others will flower only one time, but what a display you can achieve. 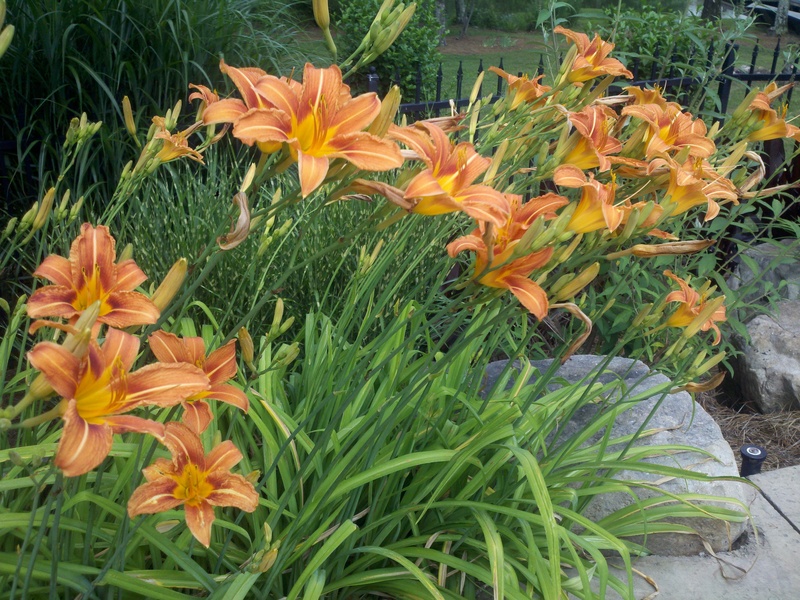 Daylilies vary in height dramatically, from the Stellas at 12″-16″ to the traditional orange “ditchlily” at about 36″-42″. The color range is staggering. There are so many different hybrids now, it is awesome. Many different catalogs are available for you to pick the plants/colors you like. I have hundreds of daylilies in my garden, and the display is stunning. As they mature, I regularly dig them up, separate them, replant some, and pot and sell some. This keeps them from getting too thick and allows others to enjoy these wonderful plants. 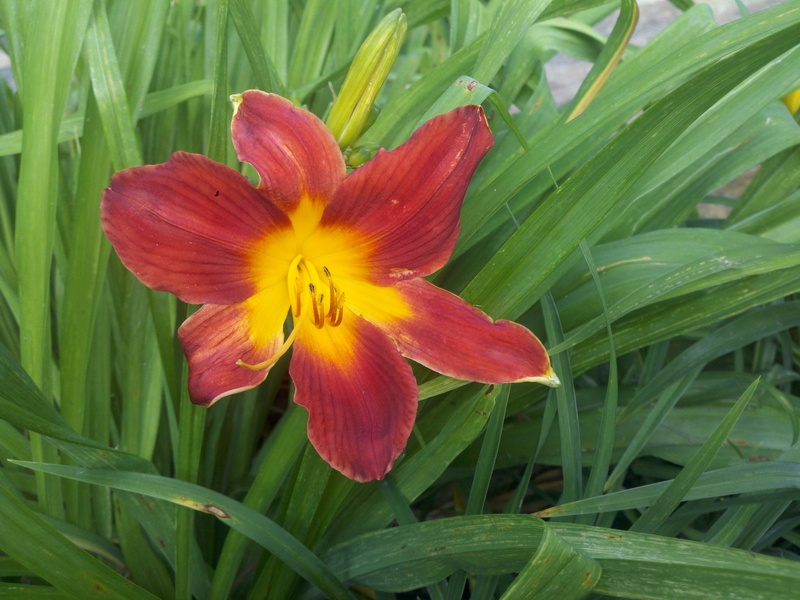 Easy to plant in almost any soil, (not too fond of real wet areas), daylilies are a low maintenance perennial that will add seasonal color to your landscape at a very inexpensive cost. If you need more information on these great plants or would like to know what plants I have in stock for sale, call me: Jim Pollock at Pollock & Associates, Inc. 770-569-5900.